Where are the pocket digital TVs? Aug 27, 2017 14:51:12 Where are the pocket digital TVs? I suppose with smartphones in every hand, nobody has the desire for a pocket digital television. A television that can pull a digital over-the-air signal with no need for internet. The other day I decided I wanted one to take to football games and didn't find much of a selection. 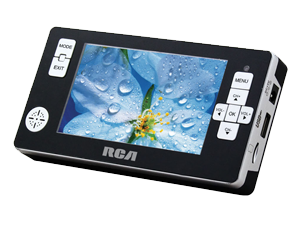 I did finally come upon this RCA 4.3″ Portable/Pocket Digital ATSC TV which is only $70 new, and ordered it. Looking forward to testing it out!